NCSS, LLC is dedicated to enriching the experience of teaching and learning statistical methods. 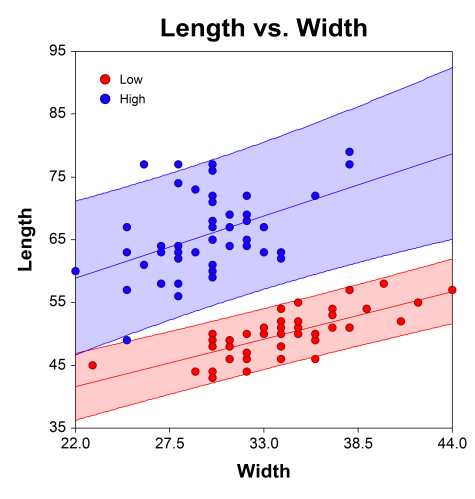 As an affordable, accurate, comprehensive, and easy-to-use statistical package, the NCSS solution allows you to focus on teaching statistical principles and methods, rather than spending your time teaching software. Click here for the Student License Store, or contact us to get a quote for a classroom, lab, department, or institution. For over two decades, NCSS solutions have been a part of learning statistical methods for thousands of students. NCSS software has been used in the teaching of students of all types and disciplines, from AP and undergraduate introductory courses, to advanced graduate and post-graduate courses. The NCSS and PASS solutions are also frequently used in thesis and dissertation research. The NCSS analysis and graphics solution provides hundreds of tools for analyzing and visualizing your data. Each step in using NCSS is a breeze, and there are a variety of carefully crafted training videos for each topic. Complete documentation is included with the software, including technical details and examples. The point-and-click interface is perfect for students learning beginning or advanced statistical techniques. Column-selection, options, reports, and plots are all specified with one or two intuitive clicks. We often hear from users of the software that NCSS is by far the easiest-to-use statistical software they have encountered. The cost of NCSS for individual students, classes, lab computers, and instructors is very, very affordable. We have sought to price the software in a manner that is cost-effective for students of all levels. Typically, the instructor licenses are free when licenses are purchased for a class. Please contact us for licensing costs for individual students, classes, or labs, or view student prices through the student store. Information about purchasing whole department or whole institution annual licenses can be viewed by clicking here. These costs may be adjusted to fit the needs of your institution. Please also ask about our options for high school AP classes. An expanding series of training videos is always available online for free. Each video contains a carefully thought out discussion of a specific topic, so students won’t have to spend an inordinate amount of time searching for answers in the video. Some examples of videos are Filters, Getting Started, Two-Sample T-Tests, Transformations, Contingency Tables, and much more. The data window is an intuitive, column-based spreadsheet with straightforward filters, transformations, labels, and formats. Data can easily be opened, imported, copied-and-pasted, or entered directly. Watch a brief video about the data window by clicking here. The Help system can be accessed from any window in the software by clicking the help icon in the top right corner. The PDF documentation will open to the topic of that window. The documentation contains tutorials, examples, annotated output, references, formulas, and complete instructions on each procedure.